JPMorgan Chase (JPM) CEO Jamie Dimon argues that the U.S. economy would have grown faster if workers had the necessary skills. “It's lifted billions of people out of poverty. It's done quite well. It does not mean there aren't flaws. I think we should distinguish that,” Dimon said. However, he pointed out that the American economy has grown 20% in the last decade, but argues that it should have been 40%. “A normal recovery would have been 40%. And we made a list of all the reasons why — infrastructure, bad taxation to litigation, to regulations stopping the formation of small business. But a big one is skills,” Dimon said. 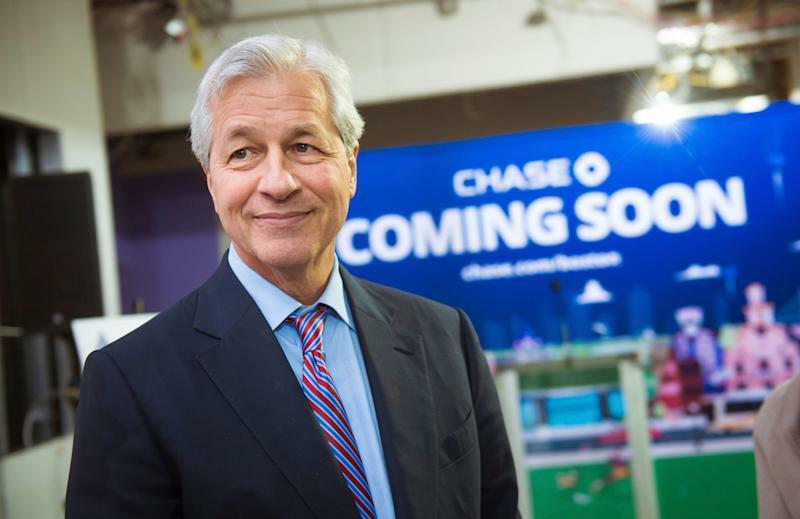 On Monday, JPMorgan Chase, the largest U.S. bank, announced a $350 million investment to help people train for the future of work that will be much more technical and digital. The bank’s five-year initiative, called New Skills at Work, will put $200 million toward "developing and piloting innovative new education and training programs" for digital and technical skills, JPMorgan said. Another $125 million will help "strengthen education and training systems that are necessary to improve collaboration and communication between employers and educators, including community colleges," according to JPMorgan. The bank said the final $25 million commitment will go "to support the development and dissemination of actionable labor market data and research." Dimon said it’s “absolutely obvious” that a “big chunk” of the economy has been left behind. "Forty percent of American people make less than $15 per hour; 40% of Americans can't afford a $400 bill whether medical or fixing their car, or something like that; 15% of Americans make minimum wages; 70,000 die from opioids; and, inner-city schools...that's where 50% aren't graduating,” Dimon said. He added that there are 7 million jobs available, but people aren’t graduating with the necessary skills. Addressing the challenges that come with the changing nature of work, though, won’t be successful with the involvement of just government, community groups, and education systems. “Companies have to be involved,” Dimon said. Another critical point is not everyone needs to go to a traditional four-year college to gain the necessary skills. What’s more, the stigma around career and community college education should be removed and a bachelor’s degree shouldn’t be a requirement for every position, he noted. "How many college graduates do you think want to be a teller? Probably very few,” he said. “We probably made a mistake from a business standpoint by making it a requirement for certain jobs." Last year, about 75% of the roles posted at JPMorgan did not require a college degree.